Cláudia Hipólito Lopes is conducting a MSc. in International Tourism Management by the University of Azores, since 2013. 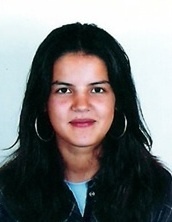 She has a research grant on the project “ECOSUBVEG – Changes in submersed vegetation: assessing loss in ecosystems services from frondose to depauperate systems dominated by opportunistic vegetation” in the University of Azores, under the supervision of Prof. Ana I. Neto (Azorean Biodiversity Group, University of the Azores). ECOSUBVEG project main goal is empirically quantify changes in the magnitude of ecosystem services between frondose vegetated systems and those dominated by opportunistic vegetation within similar areas. Martins, G.M., Hipólito, C., Parreira, F., Prestes, A.C.L., Dionísio, M.A., Azevedo, J.M.N. & Neto, A.I. (2016) Differences in the structure and functioning of two commuities: frondose and turf-forming macroalgal dominated habitats.